I lit up a cigarette. I felt pleasure in blowing out the smoke as I recalled my doctor's recommendations that I stop drinking and smoking. A hasty laughter brought about the coughing spell. That wouldn't have made any difference! Her eyes followed me as I went to the kitchen sink to grab another glass. How silly of her to watch me like a hawk. As if poor old me could run away. “Drink with me,” I raised the glass in an attempt to make a toast. 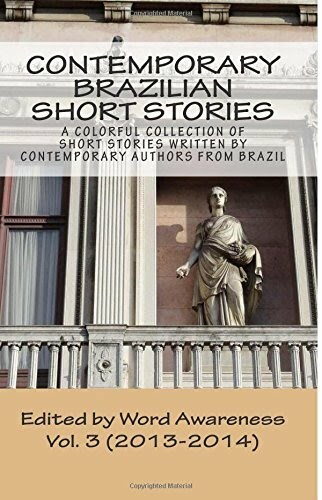 “I'll tell you some of my stories: My name is Dezêncio and it is a pleasure to meet you. I am 93 years old. I have been working at the very same place for 81 years. You can do the math. I'm no professor or historian. I could have been a baker, but I decided to replace my father at work―as if I didn't have enough misfortune in my life―and I became a grave digger. Don't get me wrong; I'm not saying this isn't a dignified profession. However, my role has allowed me to get to know my present melancholic company a little too well. I just don't know whether it's a good or a bad thing. “I have a bad hobby: I collect deaths. No, I don't mean I'm responsible for all these deaths―at least not all of them. Some cats were driving me crazy and kept falling into graves at the cemetery, but they don't count, do they? I collect stories behind these deaths. “I mastered my craft at age 15. Don't you think it's easy being a grave digger. Some people think all we do is dig holes all day long, but the truth is that we have to care for the well being of the crew. You just smiled... I'm sure you smiled! So, tell me, do you believe they're still living? Well, I can't be sure as of now, but I'll soon find out. If that weren't enough, try digging out a corpse! Sorry if I'm not being polite,” that was my turn to laugh. “As I was saying, I mastered my craft at age 15. My father, who was already very old, left everything up to me and I listened to new stories every day. As the years went by, I grew fonder of some stories and started to collect them. “There was this morning when I was cleaning some graves and saw a woman crying by her daughter's grave. I know she was the mother because the family had buried the girl a few days earlier. Well, I knew everything there was to know about that cemetery. I let her be, but noticed she hadn't left a few hours later. When the night was falling, I went to talk to her. 'May I help you,' I asked her as I sat by her side. 'Does it look like you can help me?' she replied harshly, sobbing. “I didn't insist, but remained there, keeping her company. I had been in the job for three years and already knew that the cemetery is not a good place to be by yourself when the night falls. 'Her name is Daisy,' the woman said as she turned around and sat down next to me. “I already knew that, but I decided not to interrupt her. Daisy and I went to school together, but she had been held back one year. She had black hair, a well-developed body, eyes as dark as blackberries. She was a beautiful girl. “I hugged the woman, knowing for sure that one day I'd know the reason why. 'Fifteen,' I interrupted, knowing what she would say next. Believe me, I thought, she's still fifteen. “Sorry, did you expect something more shocking? I don't get to choose my favorite stories, but maybe I have something that could entertain you more. Before I start the new story and end up forgetting it, I wanted to say that every Monday morning I put flowers on the girl's grave. Daisies. Funny thing is that I never saw her mother there again. “Twelve years into it, I had to give up all my future good nights of sleep to pay attention to any sound, any shadows moving in the dark. Fear? I was never afraid. Fear is another thing I had to learn to let go. “I slept well up until I turned 26. My father used to do his night rounds, but I needed to take his place once he was gone. “There was this night when I heard some laughter. “I was restless already and decided to check what was going on. Oh, yes! The usual vandals! They never learn, but this night it was different. “As I walked towards them, I bumped into the statue of an angel, which fell to the ground and broke into pieces. There was a commotion among girls in the group, and I'd say among the boys as well, even though they tried to hide their fear, but they all ran away. As I laughed at them, I counted each one aloud: 'One, two, three, four, five, six... One, two, three, four, five, six... One, two, three, four, five... One, two, three, four, five... Five?' Then it was my turn to run away. No, I'm not afraid, but I wasn't ready to see anything supernatural. Not back then. “The following day, I went to the place where one of the kids had disappeared and found out it had been one of the boys. Poor boy! Fortunately, it hadn't been anything supernatural. The previous morning I had dug a large, deep grave where a new tomb was going to be built. Yes, he did not survive the fall. Maybe his bones were brittle. Do I feel any remorse? Not in the very least! I didn't do anything wrong. Rafael was his name, the police told me. One more thing before I forget: every Wednesday I'd place a glass of vodka on top of his grave. Don't you judge me! I couldn't bring him roses or daisies, could I? “Still, the story that marked me the most was yet to come. I was 59 years old. August, 1983. A rainy Sunday. Perfect cliche for a burial. One of the few burials I stayed and watched. As if I had any alternative. We walked together the five blocks back to the cemetery. I heard the rusty gate creaking and felt something different compared to all those times I had walked through it. As I walked in, memories came to mind. And, in my memories, I found everything I was looking for. Life is funny. I feel trapped in a circus, heavy chains weighing me down that don't allow me to escape. However, suddenly the circus catches on fire and the only thing left after all the laughter is death. No advance notice, here I am. Life begins now! “May God bless you, my child,” they replied and, for the first time, I heard their voices. “Welcome home!” they said, as they showered me with rose petals. And so I went ahead towards my new home, a grave I had dug myself. Soon they'd find my body laying on the living room floor. You'd be mistaken if you thought I died of old age, or because of booze, or cigarette. Cause of death: Grave diggers know too much. She has written a poetry book entitled Pensamentos de outrora [“Thoughts from Another Time”] and has many other books hidden in her drawers and on her mind.